Nurses have many roles. A nurse may be an assistant to a medical specialist or part of the surgical team of doctors on their way to an operation. But nurses have specific duties to perform, not just mere assistants. You could at least point out five of those roles a nurse has to perform on a daily basis. The fundamentals of nursing could be as complicated as its demanding work at times, but the results are always rewarding. As soon as the patient is housed inside the hospital, a nurse almost immediately has to perform an assessment to the patient. This initial assessment might prove valuable later on, particularly with performing a diagnosis. Nurses, after conducting an initial assessment, could perform a simple diagnosis to their patients. A nurse might want to interview the patient further and diagnose the patient properly. Immediately after giving a simple diagnosis, a nurse has to devise a plan on how to take care of the patient. That plan though is in keeping with the assessment and its corresponding diagnosis. If a patient is in need of further diagnosis, a nurse might be able use the services of a doctor. This will assure the patient that the initial medical attention has its confirmation with another medical staffer. After doing the necessary assessment and diagnosis, and providing initial medication to the patient, a nurse has the responsibility to evaluate the said patient. This evaluation would either give further medical attention or would recommend a release for the patient. These are basically the fundamentals of nursing, the basic things that a nurse has to do in the course of his/her duty. Indeed, they have many roles, and it’s more than just assisting. Nursing subjects play important roles in molding students to become highly skilled nursing professionals in the future. These subjects are the foundation of important nursing principles required in the medical workforce. There are more than a dozen of nursing subjects in a nursing course. Each subject focuses on a specific set of principles in the field of nursing. The principles and information acquired in nursing subjects are useful in the everyday work of a professional nurse. Here Are Three Important Nursing Subjects that a nursing student should earn in school. This subject introduces a student nurse to the basic principles in nursing. The fundamentals of nursing is the first major subject that freshmen students need to take up. The topics in this subject include : The Profession of nursing (8 lessons), Asepsis & Infection Control (4 lessons) ,Understanding the Body’s Defenses in Nursing ( 3 lessons), Understanding Rest And Sleep for Nurses ( 4 lessons), Understanding Pain & Pain Management for Nurses ( 5 lessons) and Understanding Nutrition for Nurses (2 lessons). This particular major subject develops the nursing skills expected from a nursing professional. Fundamental Nursing Skills I is usually offered to 1st year students during 2nd semester. While Fundamental nursing skills II and III are offered during the 1st semester of the second year. Lessons learned in these subjects include breathing, Mobilization, Personal cleansing and dressing, Maintaining a safe environment and many other lessons focusing on nursing procedures and techniques. Nursing Management is offered for 3rd year students during the 1st semester. And Nursing Management I and II are both offered during the first semester of the last year. The lessons tackled in these subjects develop a nurse’s ability for decision-making and leadership within the nursing employed organization. Nurses’ management skills like organizing, planning, staffing, controlling and directing are harnessed thru these subjects. 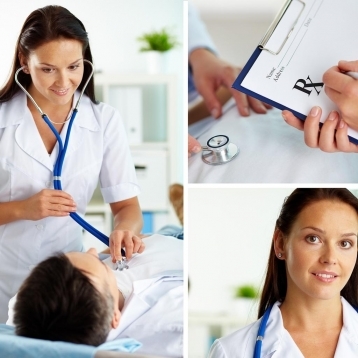 Fundamentals of nursing are the courses that teach the basic principles and procedures of nursing. 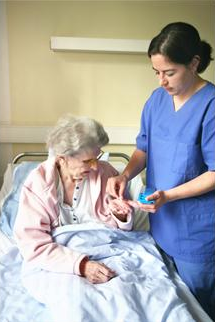 In the fundamentals of nursing, the student attends classes and provides care to chosen patients. The course highlights the significance of the fundamental needs of humans and competence in fundamental skills as prerequisites to providing extensive nursing care. The nursing practice has to be dependent and based on nursing theories. These theories are proven and tested for so many years. These theories are the basis of the nursing discipline and what makes it a profession. The nursing concepts supply direction and assistance for structuring professional nursing practice, advancement, and research. It also differentiates the focus of nursing from other professions. It is designed to guide assessment, involvement, and evaluation of nursing care. The theories also supply a rationale for collecting reliable and valid data about the health status of patients. These are essential for effective decision making and implementation. They assist in creating criteria to measure the quality of nursing care. They develop a common nursing terminology to use in communicating with other health care professionals. Lastly, nursing theories improve the autonomy of nursing by understanding its very own independent functions. In nursing research, nursing theories offer a structure for producing knowledge and new ideas. They guide in discovering knowledge gaps in the specific field of study. Eventually, they give a systematic method of identification questions for study, select variables, translate findings, and authenticate nursing interventions. To comprehend nursing theories, a theory, conceptual frameworks, theory and conceptual model must first be defined. A theory is a system of ideas that is proposed to describe a given phenomena. Concepts are the foundations of theory, are abstract ideas or mental images of phenomena. A conceptual framework is a collection of related concepts and processes. It provides an overall view or orientation to concentrate thoughts. A conceptual model is an illustration or diagram of a conceptual framework. What are the fundamentals of Nursing? The need for quality healthcare and its increasing demand puts pressure on any country to produce competitive and highly skilled nurses. To be able to do this, nursing programs must be able to extend to their nursing students how important is the profession, its roles and responsibilities, its effect on the industry etc. As the nursing students start their journey, they must first learn the basic foundations of the course and the profession in general. By learning this, the students will be able to grow and develop, following the essential foundation of their course. In general, the fundamental subjects are one of the most exciting subjects of the nursing students. They will be thought of the basic principles, procedures, techniques, calculations etc. However, these are also important phase since they will be carrying the learning they have all throughout the course and their career as a nurse. The students will also be able to learn the fundamentals of nursing care in different health settings. Learning the proper way of treating and dealing with patients is essential to be effective and competitive. As early as the start of the course, they already learn the nursing science as well as the practices that are backed with evidences and researches gathered throughout the ages. The fundamentals of nursing subjects are a mixture of tutorials, lectures, workshops and exposures. This will help them identify situations that affect the daily setting of a nursing practice. Nursing students, through these fundamentals, are being welcome in the field of health care. They must be able to reflect on how important is the course and what are the skills and the things they need to learn to become a professional nurse. Author ErikPosted on October 20, 2014 October 15, 2014 Categories Nursing EducationTags Fundamentals of Nursing, Fundamentals of Nursing and Other Common Classes in Nursing Schools, Fundamentals of Nursing Course, Fundamentals of Nursing Importance, Fundamentals of Nursing Overview, Prerequisites of Fundamentals of Nursing, Programs Teaching Fundamentals of Nursing, What are the Fundamentals of NursingLeave a comment on What are the fundamentals of Nursing?